My name is Linda, and I have been coming to Wheaton Bible Church with my family for GriefShare for about seven months. The love we have experienced here has been truly amazing. August 26, 2013, was the most tragic day of my life. On that day, my 30-year-old son, Vincent, had a seizure and died suddenly and unexpectedly of coronary artery disease. He actually went from being fine that evening, saying goodnight to all of us with no indication that anything was wrong, to dying in a matter of a few hours, never waking up again. He left behind a wife and three daughters, as well as a younger brother with whom he was very close. We come from a very tightly knit and loving family. We all lived together and were—and still are—devastated and grieving over our loss. It has been especially painful to me when I look at his three growing girls and realize what a loving father Vincent was and how much he truly took care of his family. When I would see my very young and distraught daughter-in-law, I just didn’t know how we were ever going to get through this without him. We tried to pick up the pieces and continue on with our lives as normally as we could. I have also spent a lot of time in prayer, and I believe God heard my prayer when He led me to this church and the GriefShare group. As soon as I found it, I knew this was exactly what we needed. We attended the first part of GriefShare last fall and continued in the spring. From the very first day we walked through the doors here, we received such love and compassion. Everyone just reached out their hands to make us feel welcome. Since then we looked forward to every Monday, when we would come for dinner and fellowship and then meet with our groups to support each other. 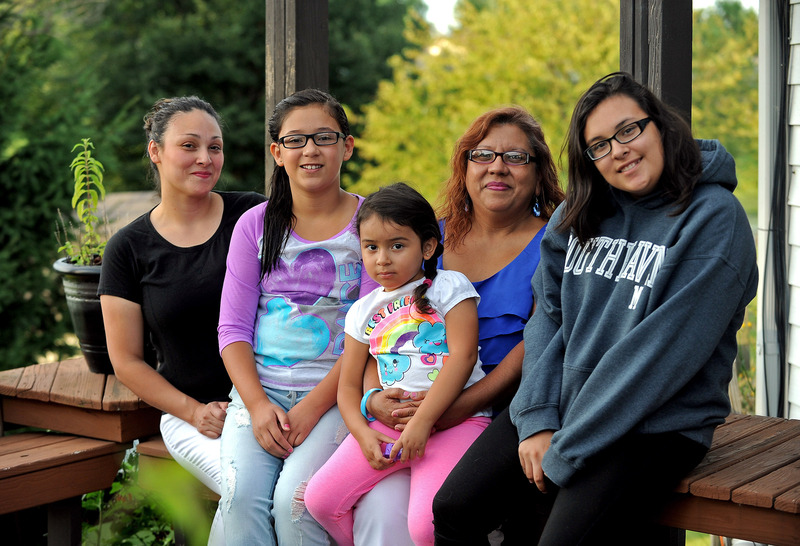 My daughter-in-law, my granddaughters Bella, age 4, and Cristal, age 11—and even my sister and niece and her son came with us each week—each of us coming to find the support we need to hold each other up through this difficult time. Kristin (who leads the Caring for Kids group that my granddaughters attend) was the first person we got to know. She has been such a blessing to us, as this whole church has been. Our GriefShare group leaders, Jody and Joan, have been wonderful and loving toward us as well. 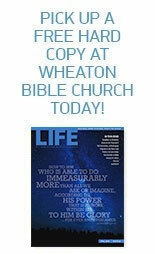 We can’t imagine how we would be coping right now if we did not come to know Wheaton Bible Church. We know that God does give and take away, but He has not left us or forsaken us. I know we are not alone, as I have been reminded each week as we’ve come here for our group fellowship. God truly has heard our prayers for help, and now we just look forward to being able to give back that love and support we’ve received here and to help others in need with the same kind of love and support we needed. I am thanking my Lord each day for His faithfulness and for the help we have received. This entry was posted on October 3, 2014 by Wheaton Bible Church in Fall 2014.